So you're finally adding a dog to your household. Congratulations! You're about to bring so much joy to your world. But also hair and dirt and slobber. You can easily integrate a new dog into your home and still keep it clean and classy by following a few simple tips. Your pup's hairy chin probably means there's going to be water dribble. One of the best ways to handle this is with a tray under the food and water bowl. We love this Easyology Premium Pet Food Tray, which has a graphic design, comes in four colors, and has a lip that helps keep the food and water contained. You've probably heard that dogs love to be in a den-like area like a crate, but does it feel cruel to you? We get it (And, truth be told, you won't find a crate in our house.). But, that doesn't mean we don't wonder if our free-range dogging was the right choice. The truth is that puppies are easily trained to sleep in their crates and hang out in them while you're gone, which makes potty training easier and also gives you the confidence of knowing they - and your home - are safe and secure while you're gone. Here's what the professionals have to say: "Prison or cozy retreat? It all depends on perspective and on how you use the crate. Dogs have a natural denning instinct, normally preferring safe, enclosed quarters for their naps," said Modern Dog Magazine. "In the wild, a den is a secure place to get some shut-eye without becoming someone else's meal. If a dog is properly introduced to a crate as a young pup he will view it as a safe refuge from the hustle and bustle of the house (and away from any pesky children!) - a place for peace and quiet and serious snoozing. Most domestic dog owners are surprised to learn that wild dogs spend up to 16 hours a day sleeping! Rest periods in snug quarters are a natural part of caring for our dogs' needs. But... dogs have many other needs that crates interfere with. Dogs are social animals; they require interaction with other dogs or people. They also need exercise, mental stimulation, and appropriate ‘potty' opportunities. So, while some time spent in a crate is usually a positive element of dog rearing, too much time spent in a crate can have disastrous consequences." "The big day comes when you pick up the dog. Everybody is excited and happy as you drive home, and you all come bounding up the walk, throw open the front door and let the dog off-leash and inside…And you've just planted the seed for a lot of future issues. In human terms, you've unleashed a juvenile delinquent," said Cesar Milan. "In order to have a well-balanced dog, we have to teach her the house rules, and set boundaries and limitations from the get-go. 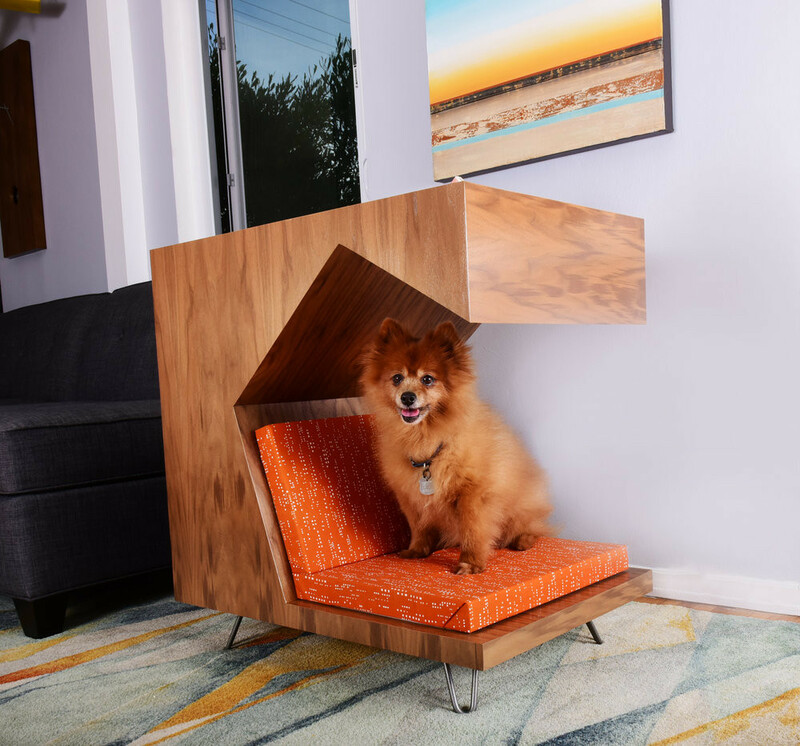 The message you send your dog the moment she enters your home for the first time is critical, because it immediately establishes the ground rules in your dog's mind. If you just let her run in the door, the message is, ‘Here! Everything is yours, and you can do whatever you want.'" Your four-year-old may think it's adorable to invite the dog up onto the couch, but if you have established a no-dog-on-the-couch policy, this can be confusing. Consistency is key, and that means you probably have to spend at least as much time training your human family members as you do the dog.